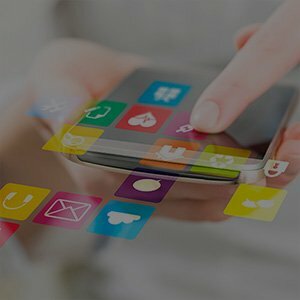 New Delhi, India – 20 April 2017: Mahindra Comviva, the global leader in mobility solutions, today announced the launch of MobiLytix™ Centralized Communication Manager, a unified, intelligent and analytically driven communication platform that help operators to manage real time life cycle triggers and ensure their engagement with their customer is relevant, holistic and multi- channel. Due to increasing complexity in the telecom space operators deployed a number of customer facing communication tools and service alerts. However, until now these tools operated in a silo-ed structure and lacked actual integration, which led to patchy and irrelevant engagement with customers. MobiLytix™ Centralized Communication Manager provides a centralized communication platform that streamlines customer’s interaction with operator tools and systems, which has a positive impact on customer experience and operator revenues. Mahindra Comviva’s Customer Value Solutions has over 40 deployments in 25 countries across the globe and empowers over 250 million customers. Its MobiLytixTM Suite provides marketers with data-driven marketing tool that helps them to deliver highly contextual marketing across multiple channels and on any device. Using MobiLytixTM suite marketers can acquire, analyze and apply information about customer context to orchestrate personalized, real-time interactions to drive revenue performance and gain competitive advantage. It delivers 800 million digital marketing messages per day and provides over 60% accuracy for churn prediction.